Eat where the locals eat, which is not the Quarter. We do NOT serve you Pralines and Jambalaya in fact we don't go near those tourist foods. With us you eat what we eat in Da Big Easy. Experience New Orleans in our shoes, the history, the culture and the seafood. Rich in French heritage those techniques have been taken by our immigrant population and turned into what is arguably some of the best food in the world. When you join our Award-winning Uptown Carrollton Food Tours New Orelans, we'll show you the Big Easy like you never seen it before. We will tease, tempt, taunt and tantalize you into trying the tasty tidbits that make up your daily bread. You'll take in the architecture of homes, learn about our culture, as you are teased, tempted, taunted and tantalized into trying tasty tidbits. With evening tours for post convention you no longer have to decide between dinner and a tour. When you come and take this food tour in New Orleans, you'll eat as if you lived here. 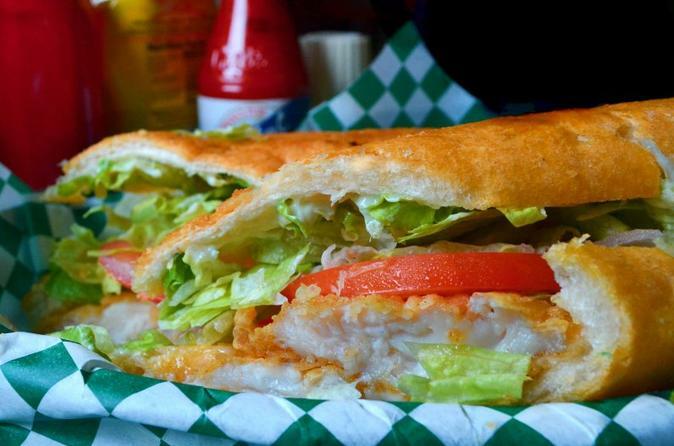 To start off, at 11:30am with your guide, you'll be taken to a classically-hidden, neighborhood po' boy shop. Next, you check out the shop of a local artist whose work you'll see throughout the city. Then, oysters & crawfish, traditional New Orleans ingredients in modern presentations. With a full belly, you'll walk merrily down Magazine Street taking in all the fun shops along the festive sidewalks. Crawfish Au Gratin, A modern take on a classic.